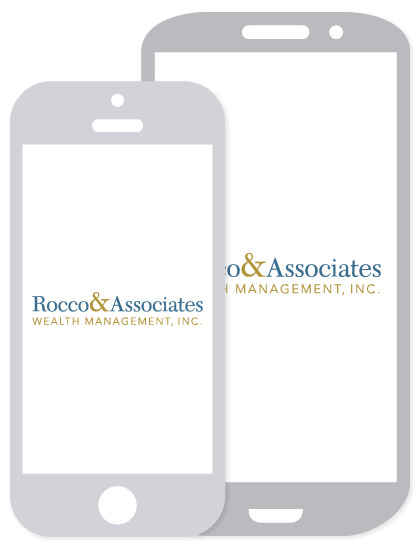 Market Outlook - November 2017 | Rocco & Associates Wealth Management, Inc.
November is the month to reflect on what there is to be thankful for. Unfortunately, it sometimes takes an unexpected event to remind us to be thankful for everything we have. This month we will look at the economic impact of the unexpected. First, we will be looking at how the recent natural disasters impact the economy. Second, we will assess how the current bull market could be the longest in history. Finally, we will explore if active managers outperform in a down market as we remain cautious in our overall outlook. Over the past few months, Florida, Texas, and Puerto Rico were the victims of a series of natural disasters. Recovery after a natural disaster is typically slow, especially because many people do not have the proper insurance to cover the damage. CNN Money reports about Hurricane Harvey, “The total economic damage, which includes uninsured losses, could be between $70 billion and $90 billion.” Estimates for the total losses from Hurricanes Irma and Maria were even higher. The Northeast is not unfamiliar with the impact of a major storm. In Fairfield, the Penfield Pavilion only opened this January after suffering millions of dollars in damage during superstorm Sandy. It is always important to consider natural disasters when reviewing your insurance plan. Often times the severity of these storms can lead to uninsured consequences. While the economic losses can be easily measured, the emotional toll is unable to be quantified. Our thoughts are with those who were impacted by these unexpected tragedies. Despite the economic impact of three consecutive hurricanes, the performance of the S&P 500 and other major stock market indices continues to be strong. The current bull market is projected to become the longest in history, surpassing the dot com bubble of the 1990s. The dot com bubble lasted 10 years, while our current economic expansion is at 9 years. The difference between past bull markets and the current one is that economic expansion has been gradual. Market corrections occur more rapidly when market expansion after a recession is more aggressive. 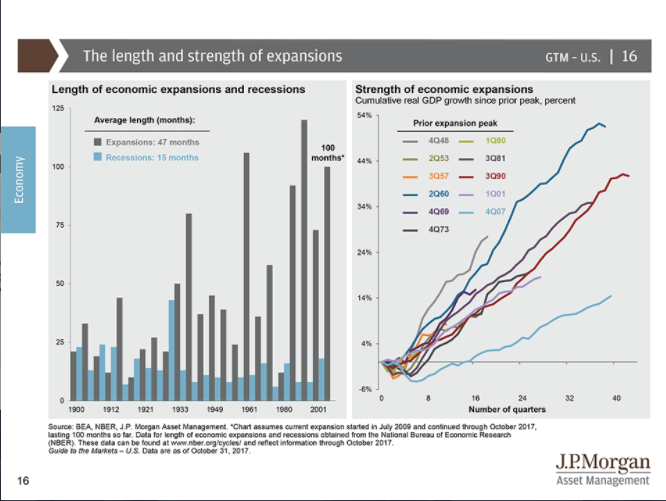 The graph below illustrates the rate of economic growth over time in relation to the preceding recessions. The current growth rate has been significantly slower than prior recoveries (the lowest blue line is our current recovery), so it remains to be seen how long the market expansion can continue. Given the length of the bull market, there is a potential for a market correction. 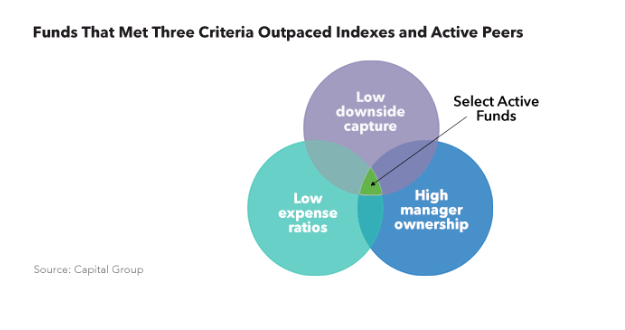 Active managers are believed to perform better in down markets than passive managers. However, being an actively managed investment does not guarantee outperformance in a down markets. At Rocco & Associates, we have a set of 75 criteria we use to assess actively managed investments to determine their potential for success in down markets. The Capital Group, determined that three of the factors we use are predictive of actively managed investments that outperform their indices. The data that led to this conclusion was drawn from the 2000 and 2008 financial crises. At Rocco & Associates, we continue to exercise caution with the hopes of mitigating the impact of any unexpected changes in the stock market. Your team would like to remind you that while we cannot predict the future, your plan takes into account the various factors in the current economic environment. As always, if you have any questions or concerns, or you would like to review your plan in more detail, do not hesitate to reach out! The opinions voiced in this material are for general information only and are not intended to provide specific advice or recommendations for any individual. The economic outlook/forecasts set forth in this material may not develop as predicted and there can be no guarantee that strategies promoted will be successful.